This year Moogfest is taking Durham by storm May 17-20 and we couldn't be more psyched. Wait a minute. What is Moogfest? Let us introduce you to the awe inspiring, weird and wonderful world of Moogfest. Taking a break here and there to focus on self-care is so important. 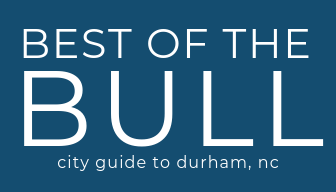 Thankfully, Durham is a haven full of places to take a step back and de-stress. Here are five ways to de-stress in downtown Durham. These ten fabulous, Durham-based wedding vendors can make your wedding planning process joyful, as opposed to painful. Stumped by where to take your better half for a special night out? Look no further than these truly local Durham spots for a romantic, fun and unique evening.